Gang of Four are one of those bands who always seem to be both in tune with and in opposition to the times. Formed in Leeds in 1977 after taking up punk’s clarion call of ‘anyone can do it’, the music they made was angular and awkward, all sputtering guitars and sinewy bass. As such, they avoided the already cliched punk thrash and are one of the bands who can be credited with creating post punk. They were also fiercely intelligent and driven. Gang of Four were a band with an agenda who freely admitted that they had meetings about the message they wanted to get across and the medium they used to do so. They were part of the ‘anti-rockist’ mindset of the late 70s, where traditional or expected music, behaviours and practices were rejected and new approaches sought in their stead. Famously they refused to jam, either on stage or in the rehearsal room, stating that if there was a sound is a Gang of Four song it was because it was meant to be there. With overtly political lyrics and a taut, angry funk sound, Gang of Four made some of the most exciting music of the late 70s/early 80s. If a sign of great art is that it is only really appreciated after its creator has died, Gang of Four made great art. After they split at some undetermined point in the 80s, their influence seemed to spread. Red Hot Chilli Peppers were such big fans that bassist Flea called them the biggest influences on their early music and they got guitarist Andy Gill to produce their 1st album. Kurt Cobain listed Gang of Four’s debut album Entertainment at number 13 in his all time top 50. Since then, Gang of Four have worked together sporadically, releasing Mall in 1991 and Shrinkwrapped in 1995. There was a 16 year gap before their next album, Content, which comes highly recommended. These days, guitarist Gill is the only remaining member of the original lineup, but his sound was always the main focal point of Gang of Four’s extraordinary noise. 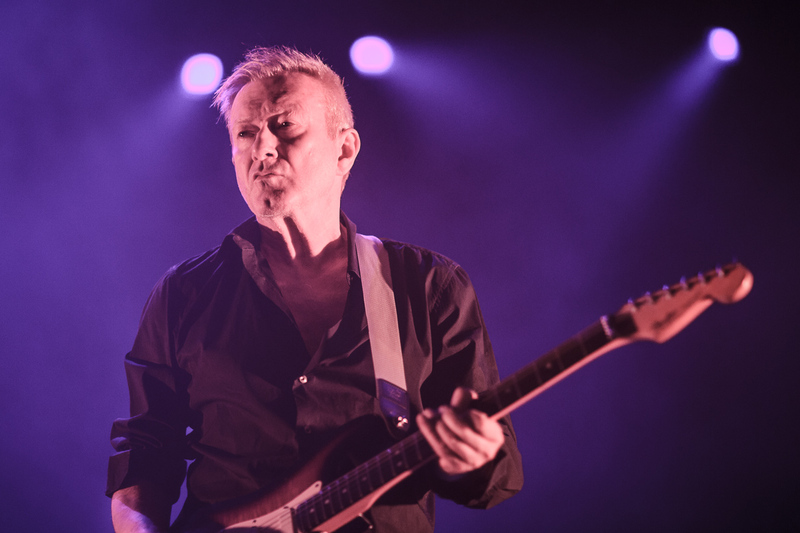 Gang of Four have announced a new album, Happy Now, released on March 29, and a live date at London’s Borderline on April 12. The album is preceded by a single, Paper Thin, which is available now. Happy Now continues Gang of Four’s incorporation of electronic sounds and modern grooves alongside their trademark jagged guitar lines. Gang of Four are an astonishing band. It is always a pleasure to have them back. Gang of Four play London’s Borderline on Friday April 12.